This is going to have to be quick. I’m SUPPOSED to be packing, but of course, as usual, I got distracted by cookies. I mean, who wants to pack when they could be decorating? I have a thing for 3-D cookies. I’ve done wagons, 3-D flowers in pots, and sewing machines so it’s only logical that these were the next on my to do list! They’d be perfect school treats OR used as placecards at a Halloween party. 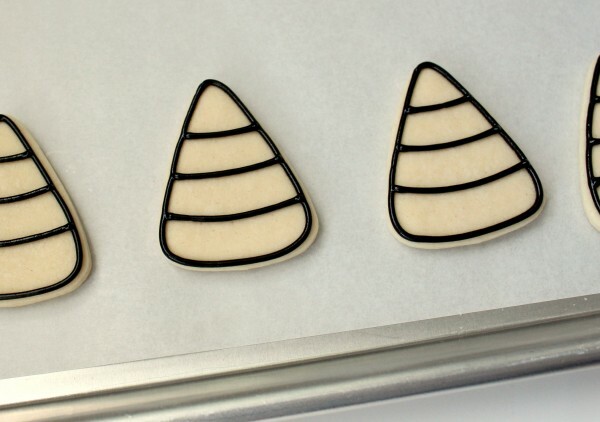 I used a small-ish candy corn and round cutter to make these, but if the proportions are off, you can hand cut the tops, in the same way I did the candy corn cookies I made recently. The start, outline the top portion of the hat. Next fill the sections, leaving each color a bit of time to dry between flooding so they don’t run together. Let this piece dry completely. 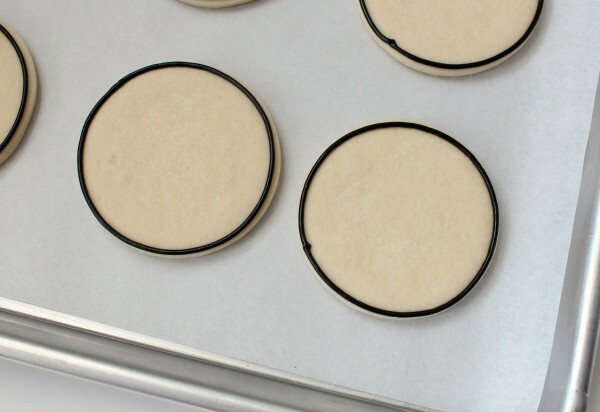 Before attaching the cookies, outline the base, and let it dry. Next, attach the top cookie to the base. 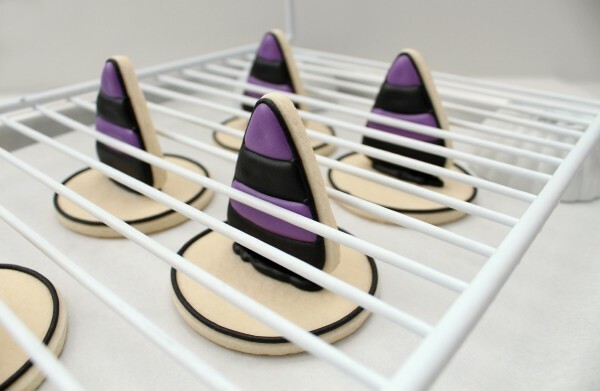 Pipe a line of black icing onto the base, and then stick the top onto it using a shelf stacker positioned to the height needed to support the cookies. Give those several hours to dry. When they are secure, flood the base. Let them dry completely again, and then position them back on the rack for the final additions. Add a small dot of icing, and attach a candy star. Next, use back icing to outline the area where the band will be. When the outline has dried, flood the band with green icing. 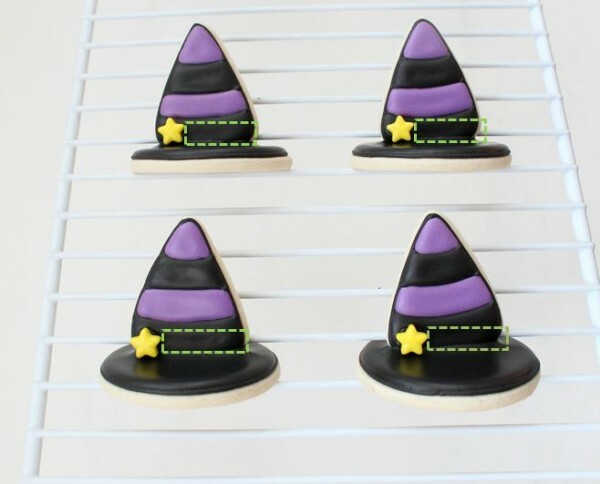 Let them dry, and you will have adorable 3-D witch hat cookies. I wish I had a little more energy this week, but I started this Monday, on the tired side. I’m not sure if that’s a good sign. But just so I don’t bore you to death, you should hop over and check out the cute witch ideas from my funny blog buddies Shelly and Kristan. Besides being WAY more entertaining than I am, they came up with some pretty darn cute ideas! Love these! 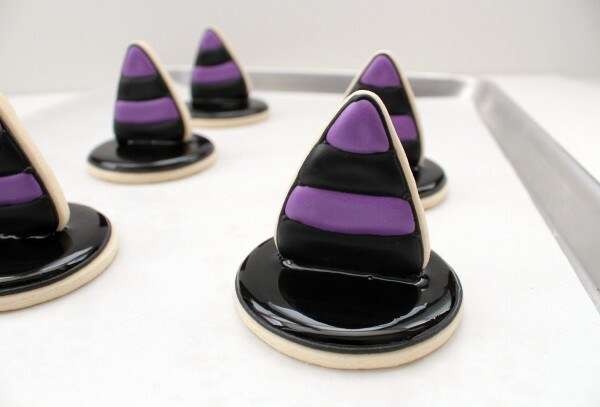 I think these are my favorite of our 3D cookies so far! These are perfect, especially for place-cards at a Halloween party. Starting a Monday off tired is not a good sign, especially when you are in the middle of a move. Hopefully you can get some time to put your feet up and relax or nap for a little. The first boxes to have gotten packed up should have been your decorating supplies just to keep you away from decorating…at least until your move is complete and you’ve had a chance to settle in!!!! Good luck with it all Callye. SO so cute, Callye!! I love the purple and black!! Another great idea! I love everything about them. These are so darn cute and the detail you add really is amazing! Ok, these cookies are awesome! Love them! those are absolutely WICKED cute! your hard word shows at every turn. Super cute idea! I love all the 3D creations you’ve come up with. So cute! 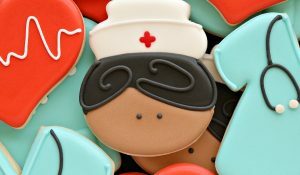 Your 3D cookies are adorable! I love the idea of them as a place card! I’m so doing these! These are amazing! So cute, what a great idea for Halloween! It’s amazing how you can draw a perfect circle around the base of the hat! My cookie decorating is pretty decent in general, but no matter how hard I try, I can’t make mine look like that! 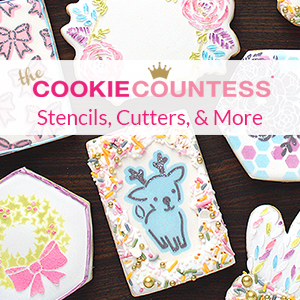 Do you use your projector to do them, or are you just amazingly good at following the edge of the cookie? Either way, they are awesome as usual. Hope your move goes well! Beautiful!!! !… I just have 1 question… I made a mickey mouse plaque last week and the black bleeded into the red and the white… my m.m. had beard jajajaja!!! why would that be?… I used wilton’s color flow mix for that 🙁 I just wanna make sure what did I do wrong so I can make this cookies :D. Thanks!!! Brilliant idea using the rack to keep the tops standing straight! Really cute cookies Callye. I love the cute idea of using these as placecards for a halloween party! Very cute idea! I hope you feel better and get over being tired. 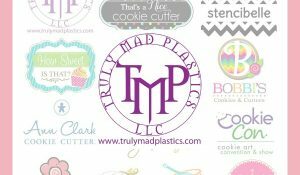 You always seem to have so much energy with all your gorgeous cookies! What fun – so creative! purple is my new favorite Halloween color….so cute! They are adorable! Love our photos! These are just adorable. Such a cute idea. I have questions about your icing: How do you get it to keep the shine? How I keep the dark colors from being so bitter? I’ve tried flavorings but didn’t work. Thanks for the help. WOW! You get a standing ovation! Give this woman a book deal! I really want to be brave enough to try these! They are amazing! Just wondered, how many ribbons have you won at your local fair??? You’re posts never cease to amaze me! You are such a great decorator, I’m going to try it one of these days, just looking for the courage still! These cookies are amazing! Fantastic idea! I do reallz really really love it…I’m so happy I discovery your site, it will be an endless source of inspiration !!! My gosh women-your creativity knows no end! 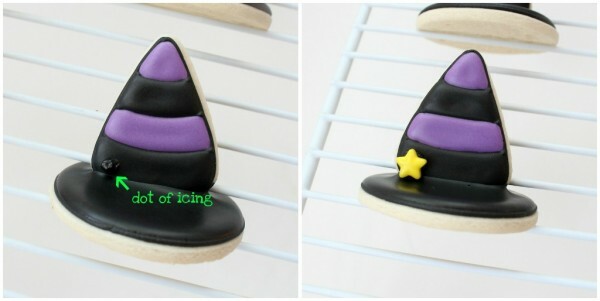 These 3D witch hats are so cool! 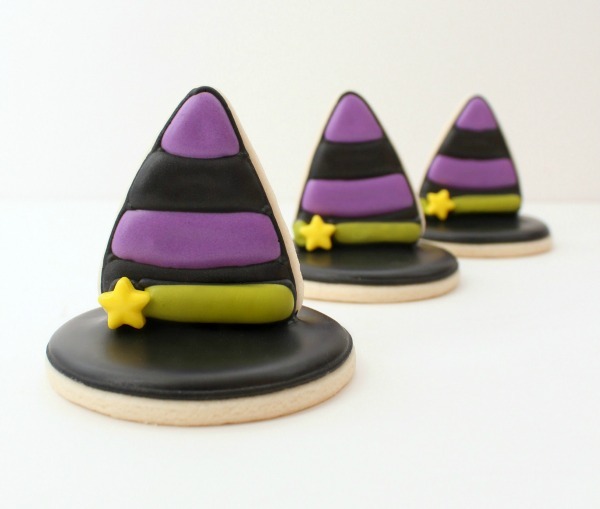 Pingback: Favorite Foodie Friday… More Amazing Halloween Treats | Grin and Bake It! I love how these stand up! Sooooo cooooool! 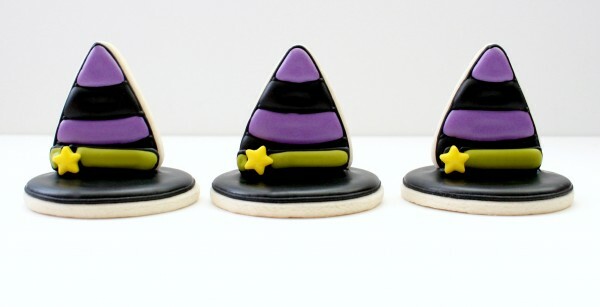 I seriously can’t wait to see all the Halloween inspired cookies you create! It just happened to me like 4 or 5 mnuites ago . it is scary and I’m. only 13 This is the second time it happened to me it was dark and I started to shake and going side to side like I was some kind of ride. My mom told me that’s a witch riding on my back. So the second time it happened I tried my best to move and it work it to me like 10 seconds to do it because it was so strong. I do fear this kind of thing and I pray to god it wouldn’t happened again. I absolutly looooove your amazing WORK AND ART!!!! cant stop stalking your blog 🙂 it jsut relaxes me to see your step by steps and amaze me how u do it! Pingback: kleinstyle » Gruseliges Essen : Monstermäßig gut! 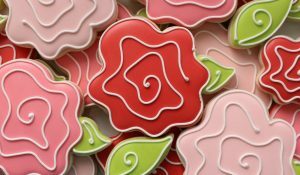 Pingback: Mensaje en una galleta » El desafío: galletas 3D cubiertas de glasa por delante y por detrás. Looks so cool ,seems easy is it? 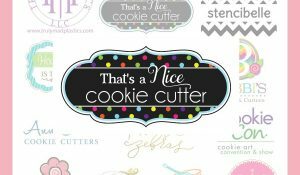 Love all of your cookies!!!!!! HI! I love you website and all of your awesome tutorials! I was wondering what your technique is for the circle?? Try as I might, the icing never follows my curve so sometimes ends up just doing a line even though I purposefully curve, or even though I’m doing the same amount of pressure, some ends ups wobbling (if that makes sense!). some people say to go 3-5cm in the air & let the icing fall but if I go that high it breaks, and if you go too low it’s not perfectly smooth….any tips? ?